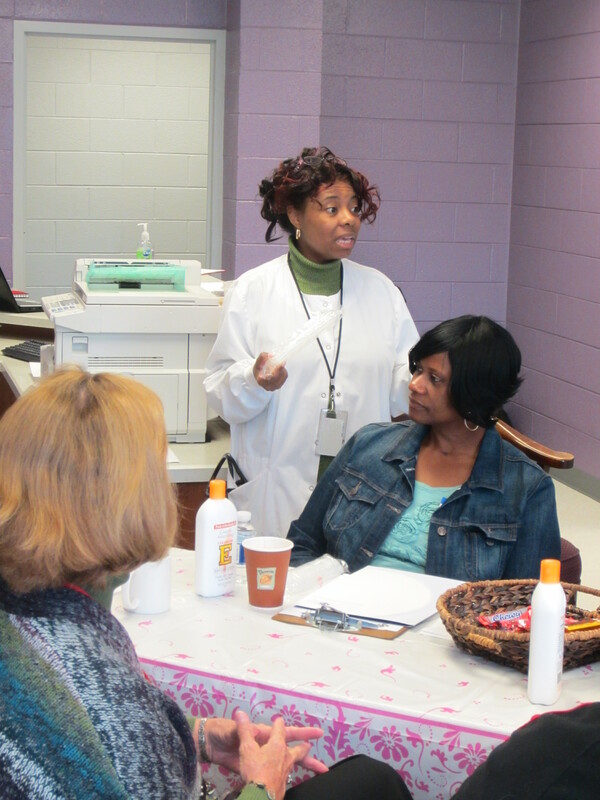 “I’m trying so hard, so where am I going wrong,” shared one patient at July’s Group Diabetes Visit Pilot. Living with diabetes can be lonely and frustrating especially for patients of Alliance who do not have the same access to resources or support as those with insurance. More than a year ago, Dr. Tara Lewis, our medical director, and Diane Berry, RN, CANP, PhD, an Associate Professor at the UNC School of Nursing, started to develop a Group Visit Model that would work for Alliance and focus on our diabetic population who are high utilizers of primary care. The group visit is an extended doctor’s visit where not only physical and medical needs are met, but educational, social and psychological concerns can be dealt with effectively. We are currently piloting this program with support from the Kate B. Reynolds Charitable Trust, lead funder, Duke University Health System Charitable Grants Committee and Novo Nordisk. Patients normally spend 1.5 to 2 hours at Alliance for a typical diabetics visit. With the group visit, patients spend the same amount of time at Alliance, but now get to participate in an educational component and interact with other patients. At the first group visit conducted at Alliance, the most popular saying from the interaction was, “me too,” after hearing other patients comments and questions. Dr. Berry who has a back ground in conducting group visits in other settings said the group visits “is a powerful model because it’s inclusive of clinical and educational benefits.” Many patients have shared with Dr. Berry that they feel the group visit holds them more accountable as a patient because now they have an even larger caring group who wants to know how they are doing. But the glory of the program has been celebrating the small success and the changes in lifestyle!